Immortalized in the spellbinding documentary Dear Zachary, this angry, raw, and brutally honest true crime memoir of murder and loss chronicles a system's failure to prevent the death of a child. In November 2001, the body of a young doctor named Andrew Bagby was discovered in Keystone State Park outside Latrobe, Pennsylvania, five bullet wounds in his face, chest, buttocks, and the back of the head. For parents Dave and Kate, the pain was unbearable? But Andrew's murder was only the first in a string of tragic events. The chief suspect for Andrew's murder was his ex-girlfriend Shirley Turner, whom was also a doctor. Obsessive and unstable, Shirley Turner lied to the police and fled to her family home in Newfoundland before she could be arrested. While fending off extradition efforts by U.S. law enforcement, she announced she was pregnant with Andrew's son, Zachary. The Bagby's hoping to gain custody of Zachary moved to Newfoundland and began a long, drawn-out battle in court and with Canadian social services to protect their grandson from the woman who had almost certainly murdered their son. Then, in August 2003, Shirley Turner killed herself and the one-year-old Zachary by jumping into the Atlantic Ocean. 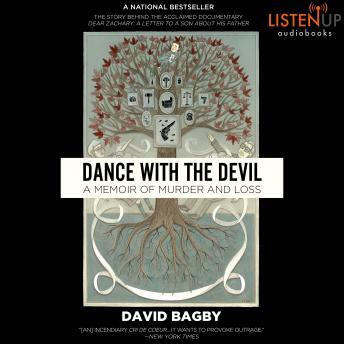 Dance with the Devil is a eulogy for a dead son, an elegy for lives cut tragically short, and a castigation of a broken system.